911 Restoration > Blog & Latest News > DIY & Home Improvement > Are Roof Solar Panels Covered by Homeowner’s Insurance? Are Roof Solar Panels Covered by Insurance? Before you even consider solar technology and whether or not they are covered by homeowner’s insurance, do some research on your local area and specific home. For example, do you install solar panels on your roof or is a ground-based system a better option for your property type? Additionally, check if there are any restrictions or local codes regarding solar energy from local municipalities or from your homeowner’s association. A homeowner’s insurance carrier can raise, lower or keep your premium rate the same depending on the specifications of your solar technology installation. Some insurance carriers for example automatically reduce the premium cost by 2-5% regardless of the type of technology used with the thought process being that eco-friendly homeowners are more responsible in general and less likely to file an unwarranted insurance claim. 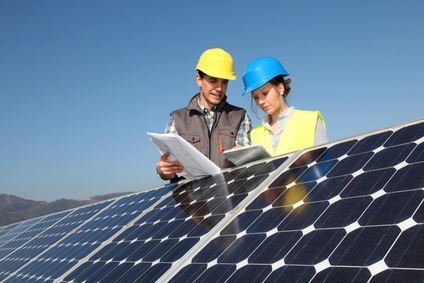 While residential solar energy installations are typically covered by a standard homeowner’s insurance policy, you will likely also have to amend your existing policy to account for the new technology. For example, your existing policy may have coverage limits that exceed the amount needed to repair both your roof and any corresponding solar panels installed on it after a disaster. Make sure you have enough coverage for both. Solar technology and other eco-friendly home solutions are being installed at a record rate with home contractors anticipating that nearly 1 in 4 of remodeling projects will be green-related. If during the installation of solar panels on your roof you discover damage that leads to a roof leak, call our technicians at 911 Restoration right away!